Dinosaur Birthday Cake Pan. 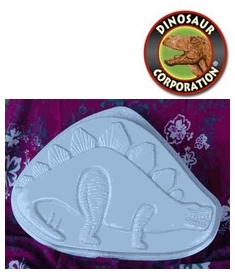 Stegosaurus plastic cake pan can be used many time to make the best dinosaur party cake. Decorating instruction for your dinosaur party cake is included. Size 17" x 12".